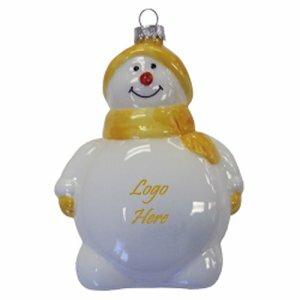 Glass Snowman Ornaments stands 5 inches tall. Large imprint area (1.57 Inches Diameter) for your 1-Color logo. Pricing includes a one color, one side design. More than 1 color is NOT available on this item. (For Multi-Color imprint on Snowman see item #IKJ53568). Packaging: Each snowman ornament is individually gift boxed. Overruns/Underruns: All orders are subject to 10% overruns and /or underrun. You will be charged for quantity shipped. 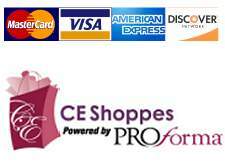 For Exact Quantities, an additional 7% will be added to your order. Please note this when ordering.